Who never lost an umbrella? And sometimes, it is really not our fault. They just disappear from where we left them. Hence, giving umbrella a lock is not a new idea in the industry and the only thing matters is how to make the lock compact and functional. 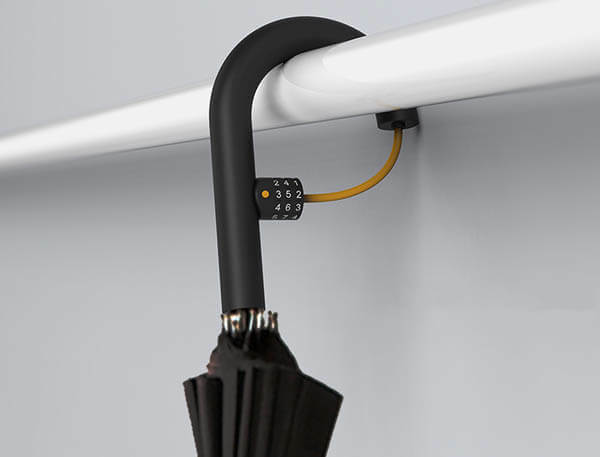 Designed by Zhang Shuo, Daishao Yun, and Wang Wen-Year, UMBRELLOCKED is an umbrella with a special handle which has an inbuilt lock (like a bicycle lock) that extends outwards and allows you to loop and secure it around any pole, railing, or piece of furniture. 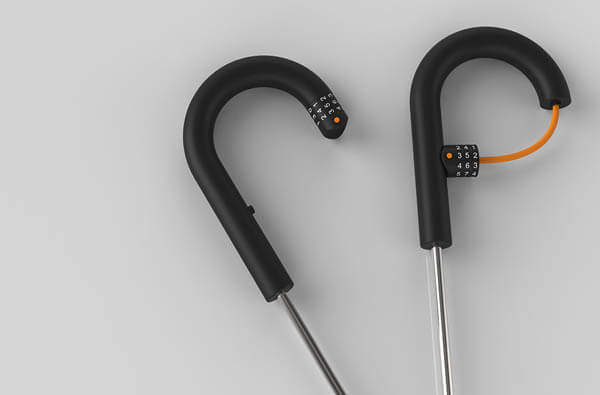 It comes with a combination key, so you don’t need to be worried about losing actual keys at the risk of protecting your umbrellas! Pretty clever idea! I am looking forward to see in on market.